Our mission is to protect the most vulnerable members of our community by supporting, promoting, and developing social and educational initiatives. Our work relies on a multidisciplinary approach in order to improve people’s living conditions. We work to ensure children and youths’ rights to grow up and get an education. We address their material and emotional needs in order to restore their dignity. We reach out to society at large via partnerships and networking. 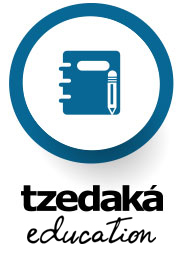 Tzedaká means Justice and Solidarity. It restores everybody’s right to live a dignified life. Food aid to ensure every family has their basic food needs covered. Ensure vulnerable youths can complete their education, and we provide them with training and support to help them enter the workforce. Healthcare and nutrition programs, as well as cultural initiatives, for children and youths. The Tzedaká neighborhood, and we provide subsidies for rentals or services to ensure housing for vulnerable families. Free medicines to chronic disease patients throughout all across the country, as well as to social organizations and hospitals. We carry out preventionve campaigns. The life quality forof the elderly and for the Holocaust Survivors, by providing them with food, medicines, caregivers and social integration programs. Our work by partnering with the national, provincial and city governments, businesses and organizations, inby regularly donating clothes and medicines to hospitals and NGOs regularly. The responsibility of assistingserving the vulnerable population alongside 600 volunteers.